The newspaper headline that reads, “Rapper shot and killed.” has been heard before. When rappers die, people’s first thought as cause of death, is involvement is some sort of crime. People make assumptions based on past precedents and heavy stereotypes, but not all incidents are the same. Even for Rap fanatics, the name Nipsey Hussle was not well known before he was shot and killed on March 31 in Los Angeles. Although Hussle’s name was not within the spotlight of the rap industry, his death went viral through all media platforms. Hussle was respected. Not only by other significant figures, but by the LA community. His genuine actions as a community activist outlined his significance in the West Coast. 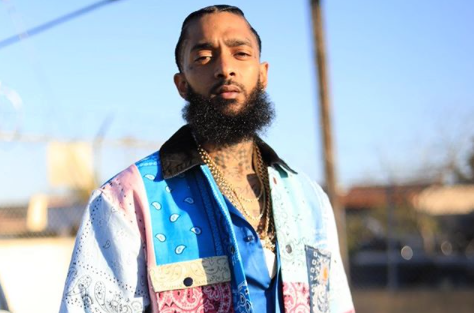 After understanding Hussle’s positive influence within the music industry and his community outreach, his cause of death is put into question. Was it gang-related? Was it a personal dispute? Or was it actually a conspiracy? It all just doesn’t add up. Hussle was in the process of filming a documentary about the unjust trials of Dr. Sebi in 1980’s, an herbalist who allegedly cured multiple patients with mortal illnesses such as HIV and Cancer. Hussle had strong beliefs in his herbalist achievements and claims, and attributed Dr. Sebi’s death to a government conspiracy. In the midst of making his documentary making, he was killed. Since the reason behind his murder is yet unknown, Hussle’s death has been widely attributed to this controversial reason: that he was shot and killed in a city notoriously known for its gang-related crimes. Before he had the opportunity to become a Grammy nominated artist, Hussle was part of the Crips; he came out of one of the toughest neighborhoods in LA. His quiet successful rise as a community leader could have left those close minded individuals who didn’t make it like him, react with envious emotions. Maybe it was personal-beef the killer had with Hussle, or maybe he was in the wrong place, at the wrong time. The LA Times reported that his death was most likely gang-related, but then why did several gangs in LA get together for a full peace treaty the weekend following his death? They were trying to show the love and respect he had in his community and that it was in fact, not gang-related. Regardless of the reason, it’s heart-breaking to hear that we have lost another member of the rap industry to gun-violence. Every two years since the rap music boomed in the late 80’s, we’ve lost a rapper. Influencers of their communities such as Tupac, Notorious B.I.G, Kevin Fret, and now Nipsy Hussle have been victims of envy and hate. One bullet – that’s all it takes. Just one fired bullet can change a life forever. Such a small but powerful object has been responsible for the endless suffering of countless individuals. Now, the suffering of the entire L.A. community. Bullets filled with greed have made this world loose such influential figures who are needed in their communities.